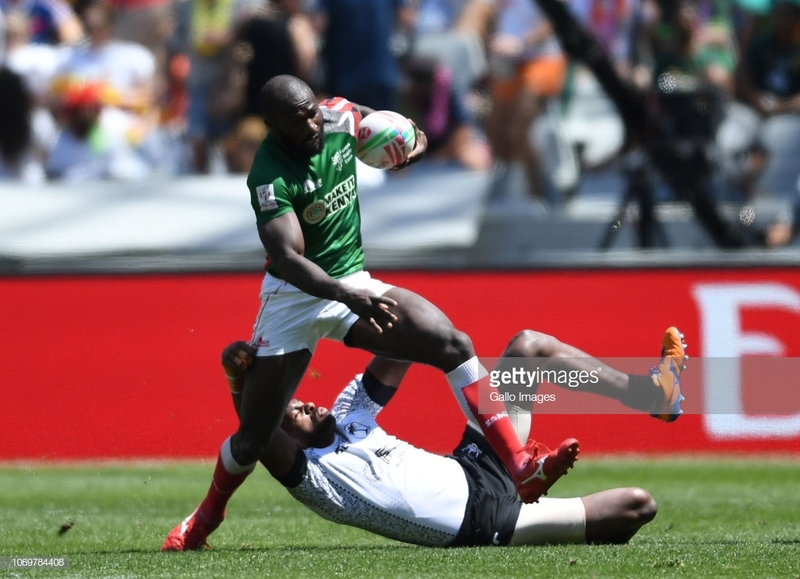 Kenya Sevens narrowly lost 34-31 to Argentina in the challenge trophy quarters of the Cape Town 7s on Sunday, Dec 9, 2018, in South Africa. Argentina led 24-5 at the interval but Kenya 7s managed to score 26 points in the second half with the South Americans adding two unconverted tries. Vincent Onyala and Alvin 'Buffa' Otieno scored back to back tries for Kenya to reach 34-19 in what looked like the last score of the game. However, a brilliant run from Johnstone Olindi, cutting across from left to right saw the fly-half touch down. The hooter went with Kenya eight points behind but there was time for one more play but they wouldn't turn over the deficit. Argentina won a penalty and went again. Franco Sabato kicked forward for German Schulz but they couldn't capitalise. Samuel Motari could break as Kenya won a penalty, and they had another try! Daniel Taabu didn't kick in time so Kenya lost by three.